We are thankful for the half million Express associates who work for us and help our client companies fulfill their production and staffing needs. We are thankful for our associates who are committed to enhancing the communities where they work and live. Through you, Express is making a real difference locally, and will continue to do so in the future. We are thankful you chose Express as your staffing company. We are so proud as a company to have such dedicated people representing Express across North America. Take time this Thanksgiving to make memories that last a lifetime. 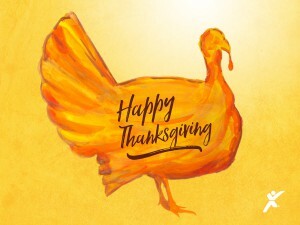 We hope you enjoy the holiday, knowing that we are thankful for you every day. Thank you, for being a valued Express associate. Poll: What Type of on the Job Training Do You Prefer? Poll: What Part of the Job Interview Process Do You Need Help With?